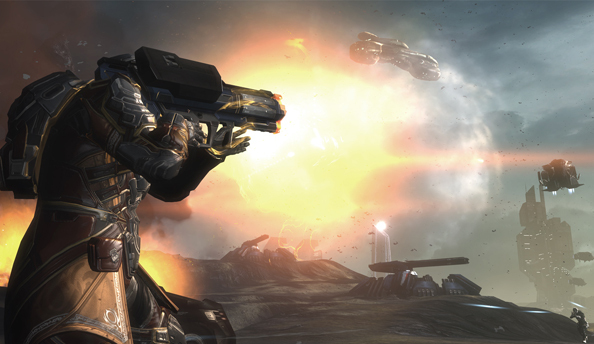 DUST 514 is CCP’s vision of what a first person shooter should be. 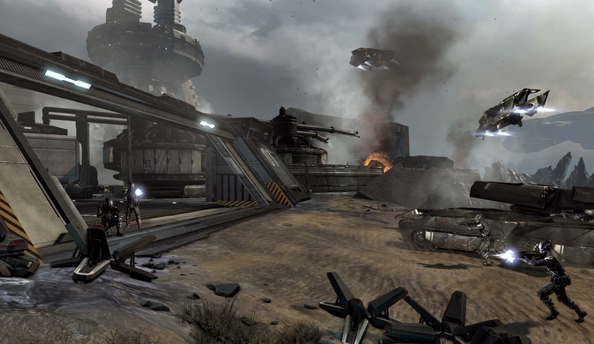 It’s a semi-realistic sci-fi war with guns, deaths, and soldiers – like other high-profile shooters. Rather than providing meaning and long-term satisfaction with XP, unlocks and perks, the victories you accumulate impact on Eve’s warfare. The planets you fight on are the planets you cruise past in your spaceship. ISK you earn is fed back into the Eve economy. The kills you make are players working for a rival corp, with their own goals and strategy. 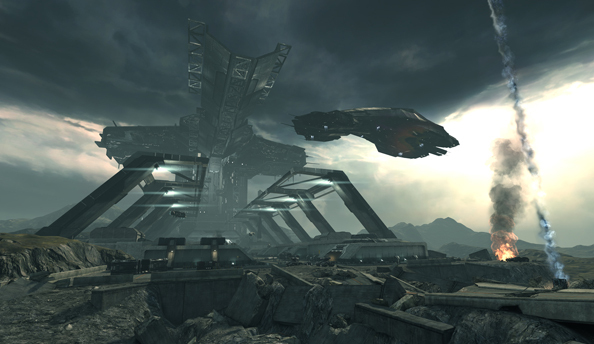 With the DUST 514 beta now plumbed into EVE Online, CCP’s vision is becoming reality. DUST 514 raises massive questions for the future of EVE Online: what does the link between DUST 514 and EVE mean for EVE players? What will be in at launch, and what is ‘coming soon’? How do CCP forsee the connections and links playing out? 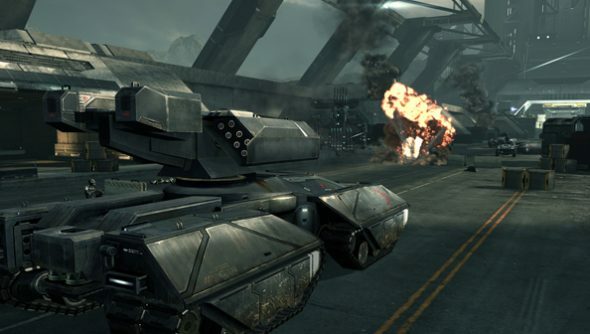 I spoke to some of EVE Online’s most senior designers, Kristoffer Touborg and Marcus Andrews to try and pin down, exactly, what EVE Players can expect from the arrival of DUST 514. CCP are being cautious with the DUST-EVE integration kicking off with a closed beta, but eventually, the basic vision is this: DUST 514 mercenaries are more than just cannon fodder, to be thrown away like pawns or indulged as a quaint past time – they matter. 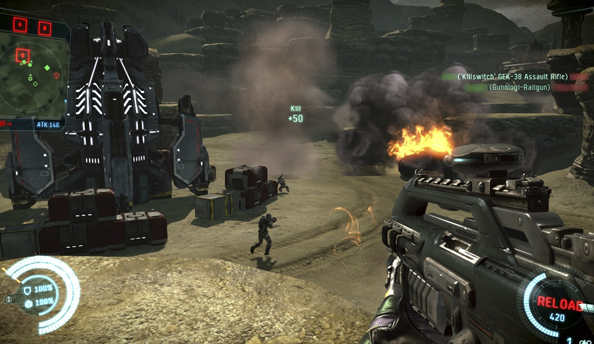 Whether it’s Factional Warfare, or Player Owned Warfare, DUST’s mercs have their part to play. That could have massive implications for POS (player-owned-station) warfare. It could allow you to shorten the reinforce timer delay allowing you to dismantle POS’s quicker (as you can’t take down a POS all in one go), or prolong it giving you more time to rally your corp to mount a defence… or simply make sure the timer runs out in a more convenient time zones. Bombardments require a special type of ammunition, but don’t require any special modules. There will be several ‘types’ of bombardments; think of them as the difference between precision strikes and carpet bombing. CCP are aiming for four variants, but there’s unlikely to be more than two at launch. The level of damage you can cause, regardless of the ‘type’ of strike you can use, will vary. Some ships will be better suited than others to cause orbital strikes. Initially, CCP will be giving bombardment bonuses to Destroyer-class ships. We imagine this will mean that you have to be in orbit around the planet, and a special UI interface will tell you where and when to go. Again, considering this only affects Factional Warfare for the moment, we can’t imagine this affecting your routine that much. Hell, it might actually give you a bit of variety for a change. Ultimately, and this is something you might have picked up already, CCP seem to want DUST and EVE players to play together within the same corps for the time being. In Factional Warfare, that’s a bit of an easy thing to manage and probably why a lot of the initial integration is focused there. When they start widening the scope, DUST-only corps may be presented with more opportunity and autonomy, but like EVE itself the experience will change the further out you go. 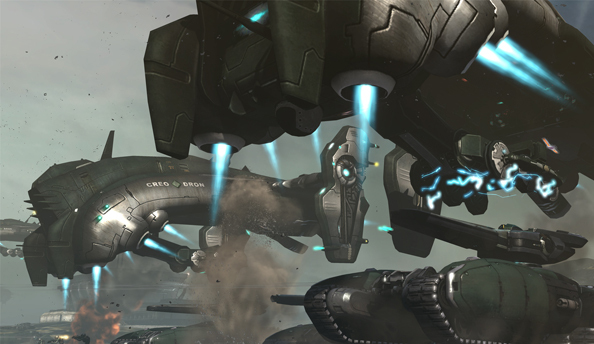 EVE is all about control – whether it’s being in control of your future through money-making ventures in High-sec (high security space, where killing other players is generally frowned upon and punished), or being in control of your corp’s or alliance’s territory in nul sec (null-security, where anything goes). CCP have never sought to control the player, they’ve only given them tools to try and control each other. Factional Warfare is where the brunt of the integration is going to take place between the two games. EVE Players can pound the crap out of DUST players, and DUST players can… er… we don’t actually know right now. Curse Loudly? EVE Corps can have DUST players, and DUST corps can have EVE players. CCP seems to be encouraging Corps to make use of both kinds of members to take advantage of the new interaction. Market Integration details are very much TBD. We expect at the very least the ability to transfer goods, blueprints and cash from between EVE and DUST though. You probably won’t be able to contract DUST corps or operations at launch. Eventually, the game will move to Nul-sec integration, which is where the fun really begins. 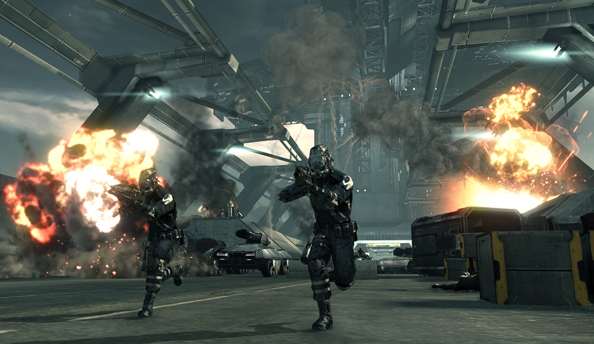 Register for the DUST 514 beta and follow our Eve Online/ DUST Twitter updates.